1. My spouse and I are separated. Do I need to tell them about my plans to take the kids abroad this summer? Normally you need the written consent of all those with parental responsibility before taking your children abroad. If your partner has parental responsibility you would need agreement. However if there is a child arrangement order in place and the children live with you, you can take the children away for up to 28 days without permission. 2. I want to move my children to another school. Do I need to agree this with my ex? This really depends on whether or not your ex has parental responsibility. If they do they may object to the way in which your children are being educated. It’s certainly worth trying to involve your ex so they can understand the reasoning behind, and hopefully agree to, the change of school. Ultimately if you are unable to agree you can ask the court to decide the matter through a specific issue order, though you would hope it wouldn’t come to this. 3. Is my old will still valid? I divorced last year but still want to have the guardian and executors I chose with my ex. The short answer is yes. Your Will remains in force. But any clauses that mention your ex-spouse are deemed null and void. So for example, if you had appointed your ex as executor or left them some or all of your property, those provisions would not take effect. The clauses only become invalid after you have finalised your divorce – not when you separate. If your ex survives you they will assume guardianship – unless you have been given the right to appoint a guardian under the terms of your divorce. It is therefore a good idea to discuss the issue of guardians during divorce proceedings. If you remarry, your earlier Will is automatically revoked so you should prepare a new one. 4. My ex’s parents are making stories up about me. Do I still have to let them see my kids? Only those with parental rights and responsibilities have a legal right to contact with children. This usually means both parents (although sometimes the father has to apply to court to obtain parental responsibility). You do not therefore have to allow grandparents to see your children. 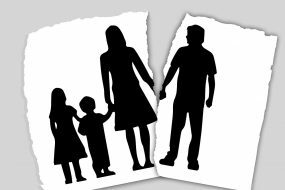 In practical terms however, if your ex has contact it may be difficult to prevent them from allowing your children to spend time with their parents. If you are really concerned about what is being said to the children and your ex is ignoring these concerns, you can apply to court for a prohibited steps order. This can prohibit contact. In many respects it is an extreme measure and you will incur legal expenses. But if discussions with your ex fail it may be your only option.